My family and friends are well aware of my obsession with bath products and skin care, so it was no surprise when I got an abundance of bath stuff for Christmas. 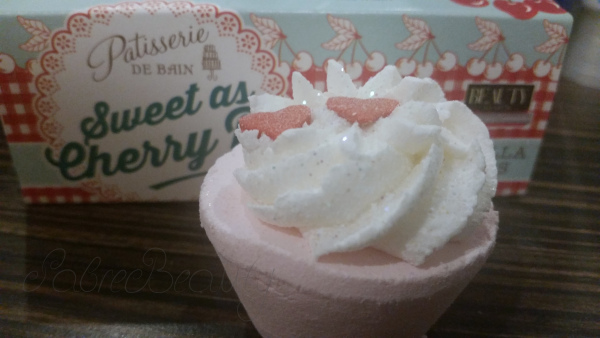 These Rose & Co bath tartlettes were a gift from my Mum and Dad. I'd never heard of Rose & Co before, but I've since done a little bit of research. Rose & Co are owned by a Mother-Daughter team, and according to their website, they have restored an old chemist shop in Haworth. Most of their stuff is handmade using traditional methods, and their products are inspired by typically English sweets and flowers. Patisserie de Bain is their range of bath tartlettes with a decidedly French influence. 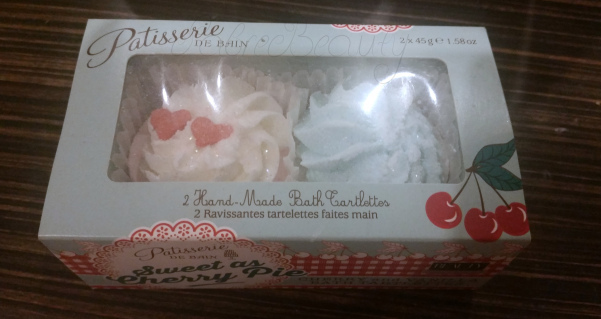 In the box, there were two 45g bath melts: One cherry scented, one vanilla scented. When I opened the box, it smelt just like a Bakewell tart - delicious! They contain both shea and cocoa butter, so I was pretty stoked to not need to moisturise afterward. It is absolutely baltic in the flat today, so I filled up the bath with steaming hot water, and tossed both of them in (because I felt like using them both, that's why). They took about five minutes to fully dissolve and didn't do much in terms of changing the colour of the water much, but I could see a steady stream of glitter swirling its way through the bath. The water was amazingly soft, but I did notice the scent dissipated pretty much straight away. It was strange not being able to smell it in the water because I can still smell it on my skin (several hours later). There was barely anything to clean out of the bath, probably because all the glitter was stuck to me, but it was nice not to have to break out the Cillit Bang straight away. All in all, I'm very impressed with these bath tartlettes. They smelled amazing, my skin is super hydrated and there's no mess! They have a pretty impressive range on their website, and I'm really feeling the All of the Fun of the Fair tartlettes. Toffee apple and candy floss? Yes, please! 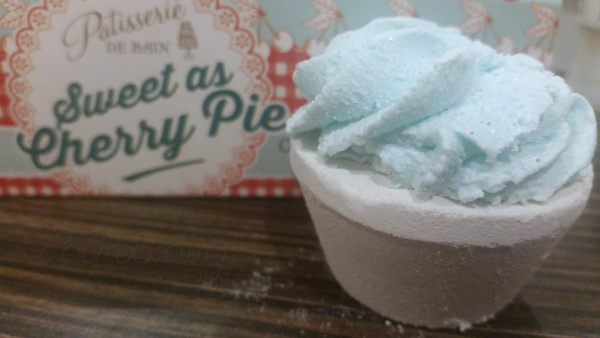 If you liked this, you'll love Lush Boxing Day Haul.